Five Thousand More exists to serve God, our community, and our church by distributing food to families in need, while demonstrating Christian love and respect and providing opportunities for others to know Christ. Food distribution takes place the 2nd Wednesday monthly by appointment. If you are interest in making donations, please contact us at 1-908-359-6302. Perishable and refrigerated items such as milk, cheese and bread are needed at the beginning of the week food is distributed. 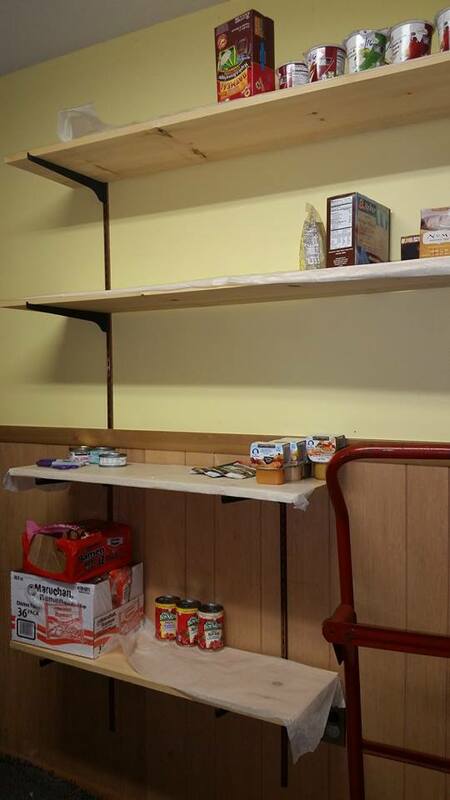 Prearrangement can be made for pick up or drop off of donations by contacting Bunker Hill Church. If you know of a family in need, please contact us for additional information. 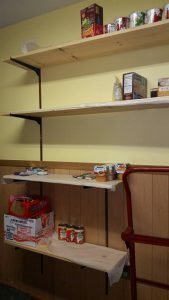 Monetary donations to the food pantry: Please make check payable to Bunker Hill Lutheran Brethren Church, and indicate Five Thousand More in the memo line. 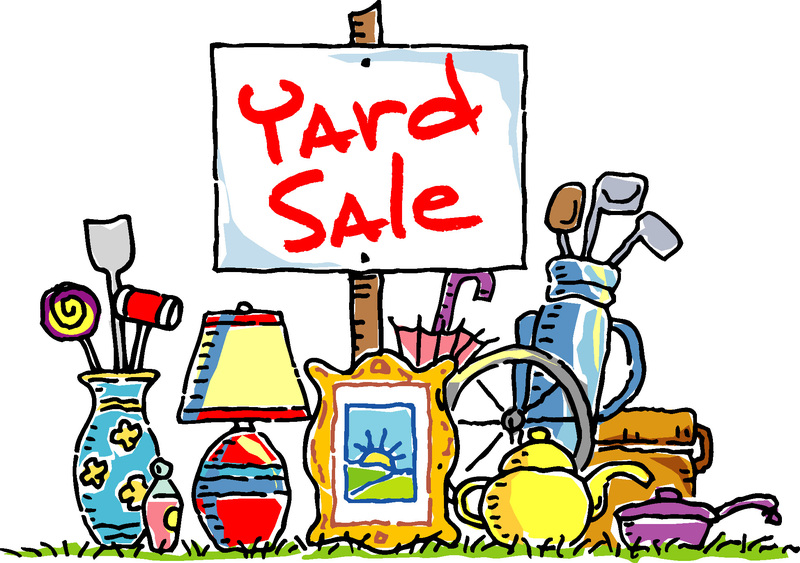 1) Donate items to be sold at the yard sale. All you need to do is drop off your items at the church – easy, right? All proceeds will go directly to the 5000 More Church Food Pantry. 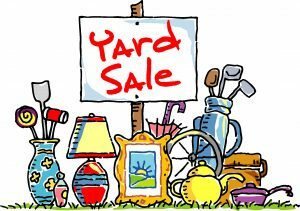 2) Or, if you would like to sell items yourself, you may rent a table for one/both days for a $15 donation to the food pantry. Call the church office at 908.359.6302 and leave a message to reserve a table. Donations will be accepted at the church on Wednesday, April 26th from 5:00pm-8:00pm and Thursday, April 27th from 9:00am-4:00pm. 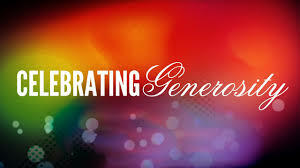 We would like to thank everyone that supported our outreach ministries in November. We were able to provide 6 grateful families with a Thanksgiving meal. We also raised over $400 for the Choice1 Pregnancy and Sexual Health Resource Center. Let’s continue sharing God’s love throughout Holiday Seasons. Below are some opportunities for you to share what God has graciously provided you, to bless others. Support our missionaries overseas – Take part in the fun of the Women’s Silent Auction. Bring all donations (slightly used and new items) to the church by 11/30. Attend the event on 12/3 at 10:30am and purchase gifts for your family and friends (or yourself). Decorate your home and support our Youth Group – Purchase a Poinsettia for $8.50. All orders should be submitted to Barbara Stolt by 12/4. Your flowers will be available for pick up on 12/10. Purchase presents for local families – There are angel trees hanging in the back of the sanctuary that have gift ideas for each person. Please take one and sign it out on the table next to it. All gifts should be returned by 12/18. Donate food for local families – Bring your food donations to the church and place them in the Five Thousand More bins. View upcoming opportunities to celebrate the Christmas Season at Bunker Hill. We thank you for your support and pray God will bless you throughout the Holiday Season. Urgent Need! Extremely Urgent Need! 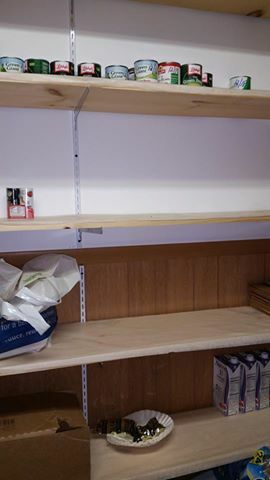 These are the shelves of our food pantry as of 5 pm Sunday Sept 18th. There is no cereal or breakfast foods. There is minimal soup, canned fruits and vegetables. This is hardly enough to sustain one individual. 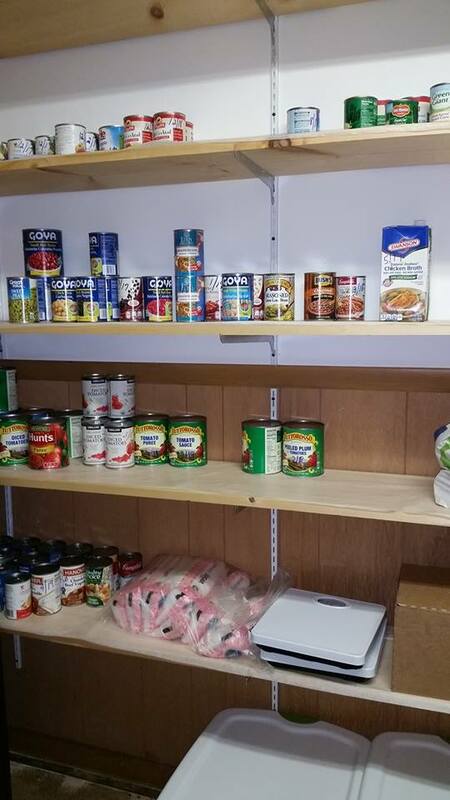 We have multiple families who rely on us to supplement what they are able to afford in order to feed their families! We are in need of donations now more than ever before. 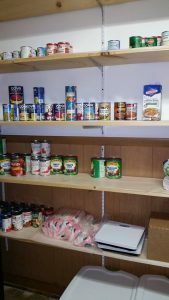 If you can donate we need cereals and other breakfast foods (poptarts, bars, pancake mix and syrup), peanut butter and jelly, tuna fish, spam, canned soup, vegetables, fruits, tuna fish, tomato sauce, rice, and we need an outpouring of it! Monetary donations also accepted. Please, if you can help us, we need you now more than ever. The recent flooding in Louisiana has left thousands of people homeless and has also contributed to a number of injuries and deaths. We as a church now have the opportunity to help out one family in particular. Michael Gibney is a pastor affiliated with the Church of the Lutheran Brethren who just moved with his family to Baton Rouge. Their home was flooded by the recent heavy rainfall and they also lost their two cars. They have no insurance for their home because they are located in a no-flood zone, and—to top it all off—Mike’s wife’s grandfather recently passed away. 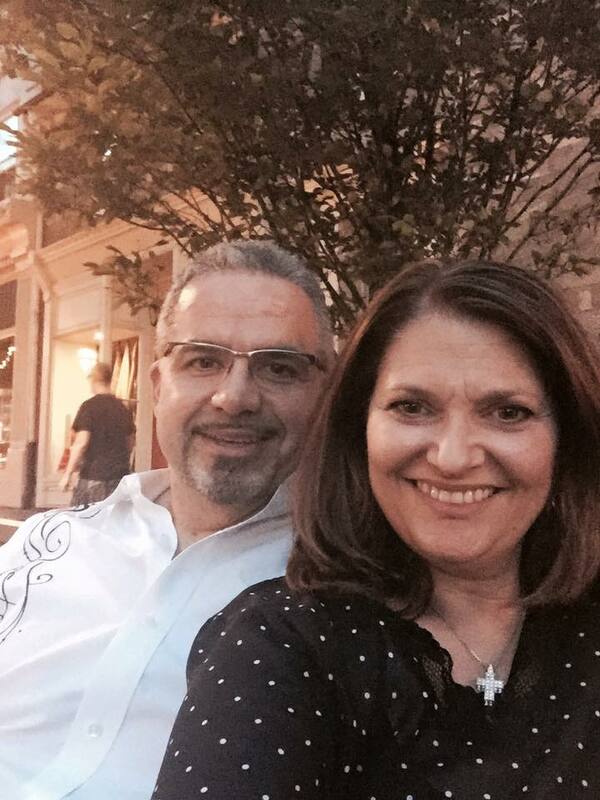 Mike is also currently in the midst of a battle with cancer. If you’d like to donate money to the Gibney Family, please make your checks payable to the church but write “Gibney Family” in the memo line. There is an offering plate at the back of the sanctuary. Please note that these donations will not be tax-deductible, since the money is going to one specific family. Watch Mike’s video below for a firsthand look at the recovery efforts.